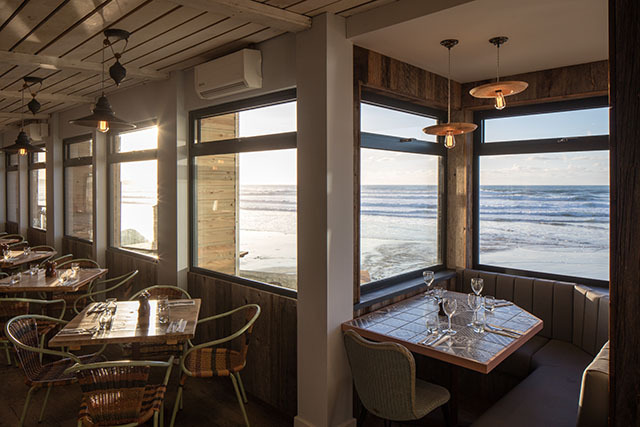 The Beach Hut at Watergate Bay has undergone several transformations since opening back in 1999. 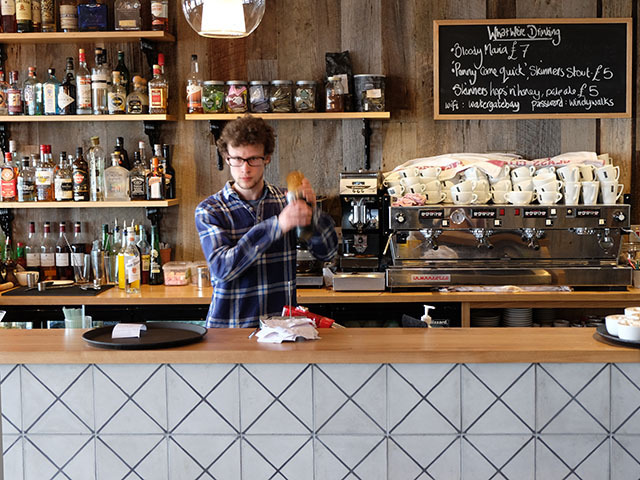 It began life as a bucket & spade and surf hire shop which, in 1999, Henry Ashworth converted into a beachside café (where we spent many an hour) alongside the newly launched watersports school, The Extreme Academy. The café was subsequently extended with a new upper floor housing a log burner and squishy sofas – another of our favourite hang outs, remember the Tuesday fondue nights? 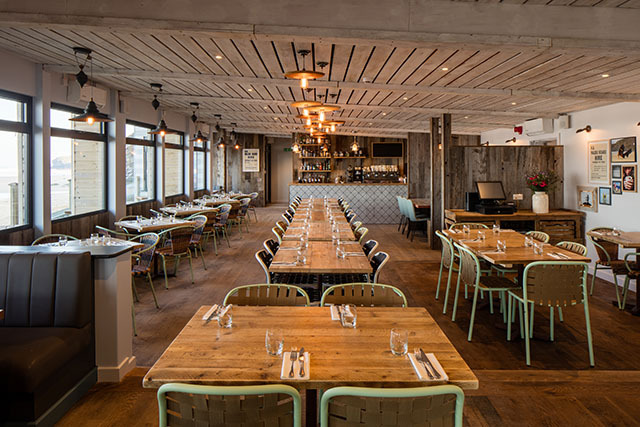 Upon the arrival of Fifteen Cornwall in 2006, The Beach Hut returned to its single storey layout, which has been extended with various decks over the past few years. At the beginning of 2017 the restaurant experienced another refurb, including the installation of smart new windows, and now boasts incredible views from virtually every seat in the house. 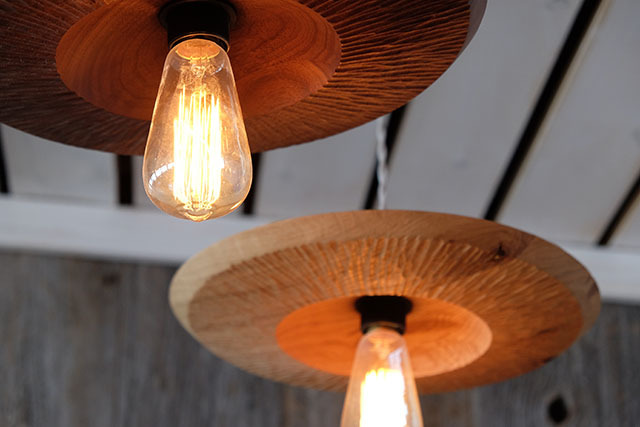 …and lovely touches such as these carved wooden lights. The bar has been relocated nearer to the door, making the restaurant layout work better for both diners and waiting staff. A Barefoot team outing recently took us to The Beach Hut for lunch; we were glad that we’d booked a table as, remarkably, the place was full on a grey weekday in March. 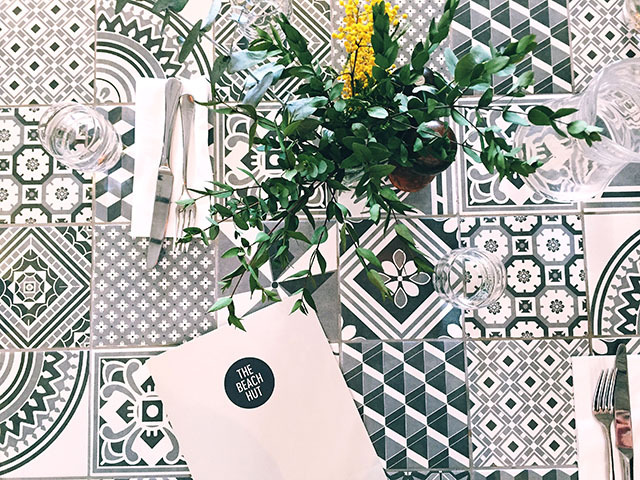 The menu is great, with “smaller dishes” if you fancy a light lunch, a selection that “could be big or small” (such as mussels or nachos) and “bigger dishes”. 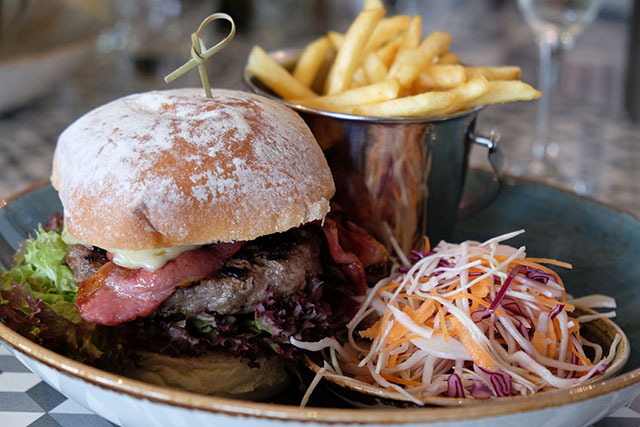 The classic BH Burger was perfectly chargrilled and juicy, the soft bun packed with bacon, Emmental and garlic mayo. This was accompanied by salad, slaw and a bucket of fries. Rich and unctuous, the slow-cooked pulled beef chilli was really flavoursome. 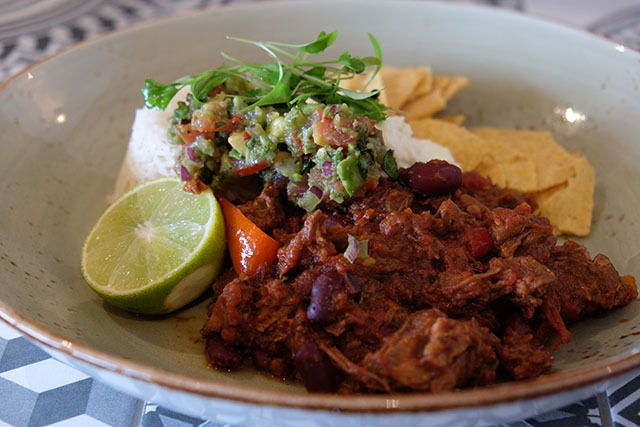 It had a good kick of chilli to it and was served with braised rice, tortilla chips, zingy guacamole and sour cream. The Thai baked fish was beautiful. 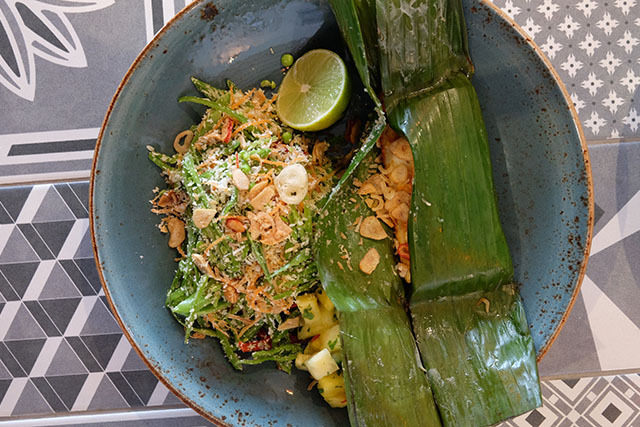 The chunky portion of spiced fish was baked in a banana leaf and served with a pile of crunchy Asian peanut salad and a sweet pineapple and chilli sambal. This carb-free and super-healthy dish was one of the tastiest. I opted for a small portion of fried squid (good squid, but the batter wasn’t very crispy) with black garlic aioli, plus skinny fries, and a delicious Asian salad of finely sliced sugar snaps, shredded coconut, peanut, chilli and lime. Definitely one to try to recreate at home. We were warned that the caramel rice pudding would be cold (which could be a bit of a surprise to traditionalists). The rice had a nutty al dente bite, the salted caramel was sweet but not cloying, and the gingerbread crumb finished it off perfectly. 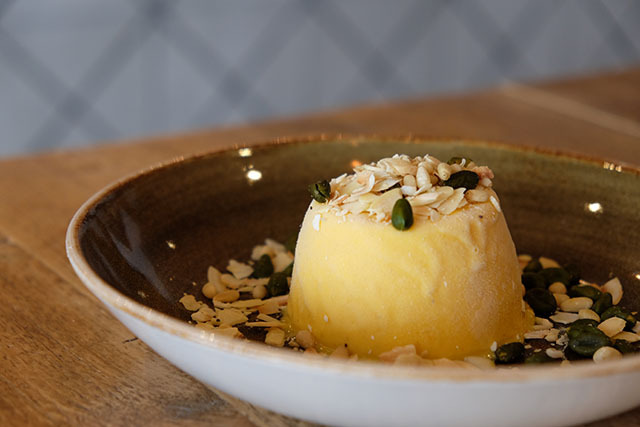 The mango kulfi was rich and creamy, yet light and refreshing, and topped with toasted coconut, poppy seeds, pine nuts and pistachios. 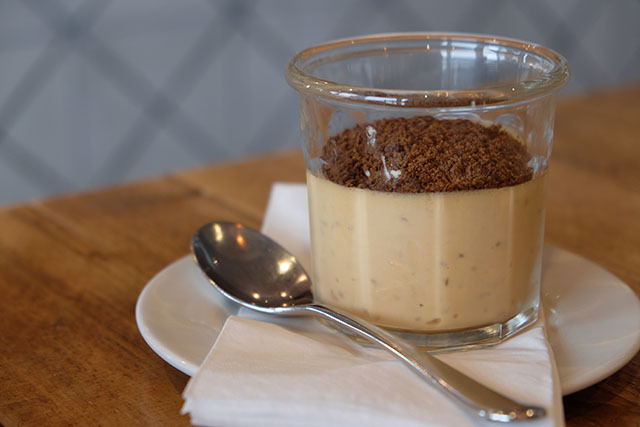 Also not to be missed are the classic crème brûlée and Extreme Ice Cream (not for the faint-hearted). You can rely on The Beach Hut. 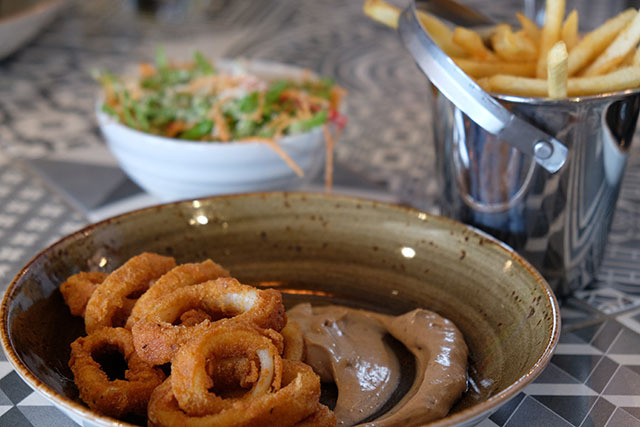 It’s always warm and comfy, the food is of a high standard and well-priced, and the staff are lovely. Plus that view is pretty hard to beat. 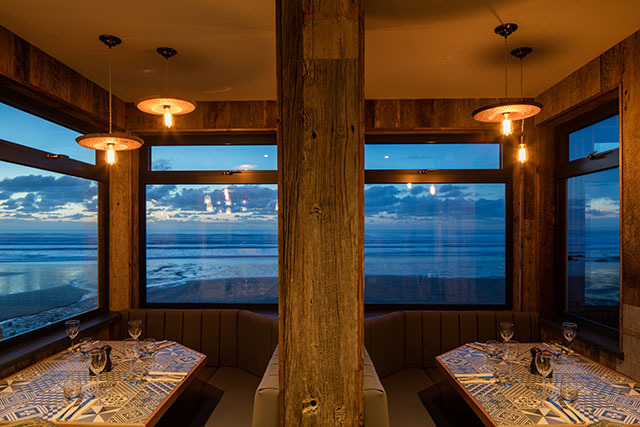 For more information, including sample menus and online booking, visit watergatebay.co.uk. Photography by Luke Hayes and the Barefoot team.